Are you searching for best car service in Marrickville? 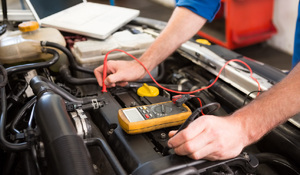 AFS Automotive is a fully qualified car mechanic workshop in marrickville. We provide service and repair for all makes & models including 4WD's. We treat our customers and their automobiles with the highest of quality service. The main role of car mechanic is to diagnose the problem accurately and quickly, Their job will involve the repair of a specific part or the replacement of one or more parts as assemblies.